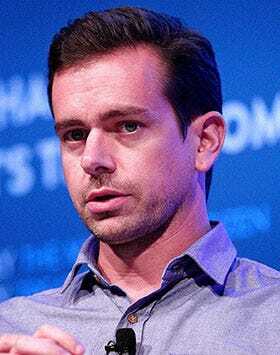 Twitter’s co-founder Jack Dorsey still knows how to inspire and confuse in equal measures. Fresh from the recent revelations this month about how much involvement Dorsey had (or didn't have, rather) in the creation of Twitter, the tech wizard gave some illuminating advice at the Y Combinator’s Start Up School on the Dos and Don’ts of getting ahead in the tech game. Along with advice on drinking only lemon water and red wine, Dorsey also suggested this daily workout routine: ten minutes with a "heavy bag"; running for three miles; and doing six sets of 20 squats and push-ups. Any takers? Oh, and when it comes to curbing bad habits, Dorsey proposes a beer and hard liquor-free working week, and punctuality as key. Also, do keep your hand out of the office sweet jar, because sugar doesn’t mix with semiconductors.